Additional Information: Issued at the start of the 2012 season, some of the player selections likely result from the fact that the set went into production before the team broke from spring training. 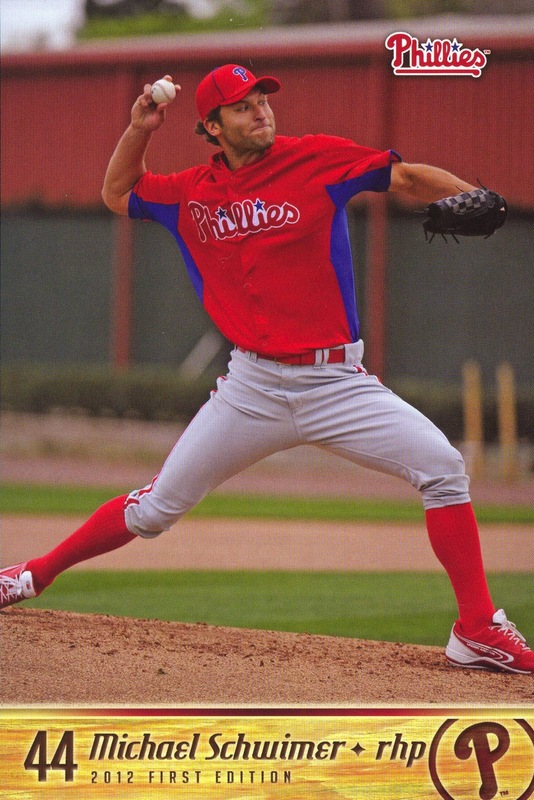 As with nearly all Phillies Team Issue sets, the cards bear the player’s uniform number, but are not otherwise numbered in the manner typical for most card sets. The cards are listed in alphabetical order by player last name. 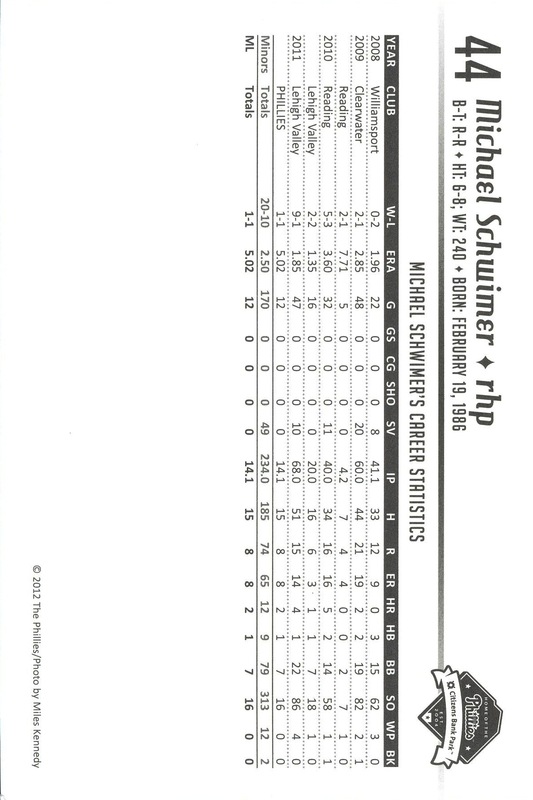 The set is notable for the Michael Schwimer’s first ever professional baseball card. Yes, somehow Topps managed to miss him while producing a plethora of Bowman prospect cards for players who never play a game above A-ball.